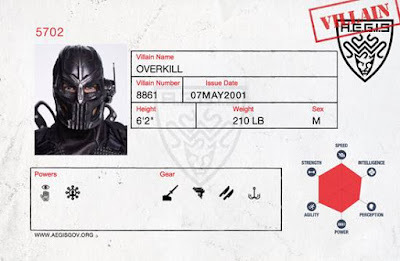 Created as an “Easter Egg” for fans of THE TICK, the AEGIS organization site mimics a standard government agency website where users will be able to “register” with the AEGIS organization as a hero or villain by selecting superpowers, a name, gear, and more. Users will then get a “registration card” with this information that can be shared on social channels. Additionally, fans can use the ‘Search Database’ section on the homepage to search for characters as seen on THE TICK to reveal their own AEGIS registration information.